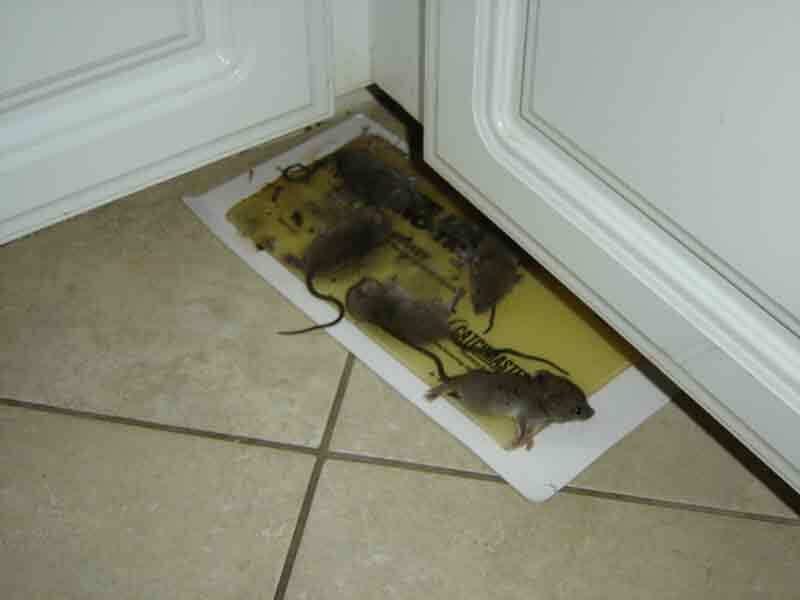 Why Hire Us for Your Rat Problem in Palm Beach County? If you suspect you have a rat problem in your home or place of business, call Wildlife Removal Services, Inc for rodent control in Boca Raton and the rest of southeast Florida. We specialize in trapping and removing rats from home attics and buildings. As a full-service wildlife removal company serving Palm Beach County and Broward County in South Florida, Wildlife Removal Services performs a full inspection of your home or property – inside and out. We will determine why the rats are there and how they got inside. Once we find and seal all the possible points of entry, we will trap and remove the rats. After they have been exterminated, we will perform any necessary cleanup and attic restoration. Call Wildlife Removal Services in Boca Raton today at (561)212-9255 to discuss how to get rid of rats and schedule an inspection for your home in Broward County and Palm Beach County. The two most common types of rats found in the Delray Beach – Wellington – Boca Raton – Ft. Lauderdale area are the roof rat and Norway rat. Roof rat: In Florida, the roof rat is also known as the fruit or citrus rat, as they like to eat fruits, as well as vegetables and grains, and they prefer a warm, tropical climate. Gray or slightly brown in color, they can grow to 8 inches long with a 9 inch tail. Roof rats are typically the kind of rat you might find in the attic or walls of your house. Outdoors they dwell in shrubs and dense trees, particularly palm canopies and some types of fruit trees, but they are not afraid to travel 100 yards or more to find food and water. Roof rats are nocturnal, so you will almost never see them during the day. Instead, you will hear them pitter-pattering around your attic at night. The life span of roof rats in the wild is about 12 months. During this time, females may have 4 to 6 litters of 6 to 8 offspring per litter – yet another reason it’s important to get rid of rats in your house as soon as you notice a problem! Norway rat: You’ve probably heard about the giant rats in the New York City. That would be the Norway rat, which can grow to double the size of the roof rat. They are ground dwellers and like to dig under foundations and shrubs. They are not picky – they will eat almost any fresh or rotting food. In South Florida, Norway rats are typically found along the coast and canals in sewers and dumpsters, but thankfully not (usually) in homes! Mice: It is much less common to have a mouse in your house than it is to have rats. 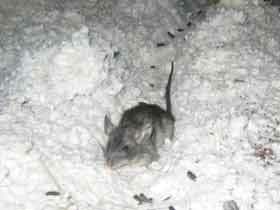 Mice are much smaller than rats and don’t wander far from their nests. If you do have a mouse problem, then the nest is probably very close by. 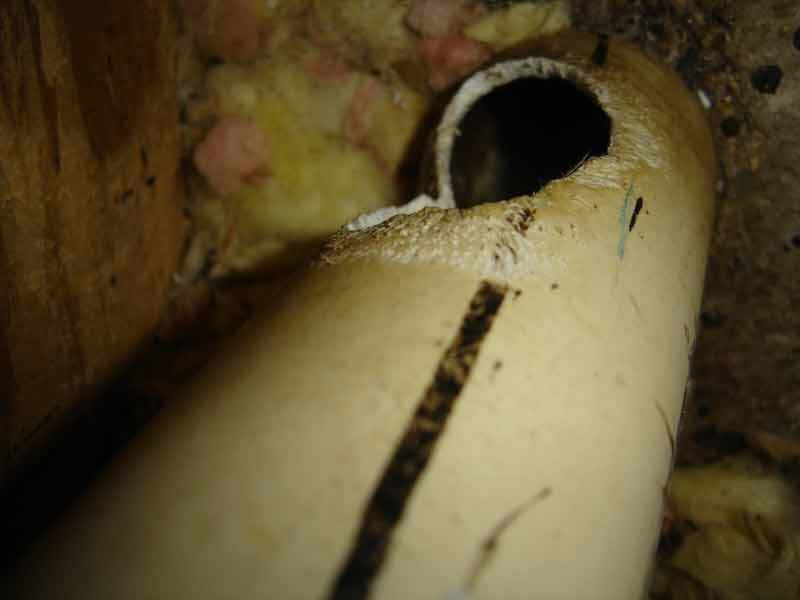 Rats can cause significant damage to structures inside your home. Rats’ teeth grow constantly, so they need to gnaw on things to wear down their teeth. Unfortunately for you, that means they can – and will – chew through anything to get where they want to go, including drywall, wood and wall studs, plumbing pipes, and electrical wires. They will also help themselves to the food in your pantry, leaving behind unsanitary droppings and contaminated food. Rats can also carry a number of disease-causing germs that are harmful to adults, children, and pets, such as Salmonella and E. coli, which can cause food poisoning or other infections. 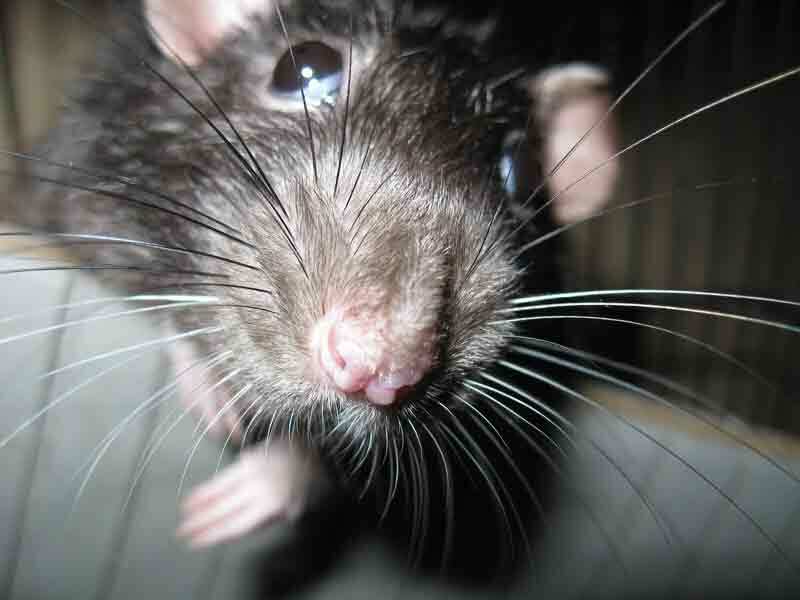 Rats can also transmit rabies, bubonic plague and Weil’s disease (leptospirosis). 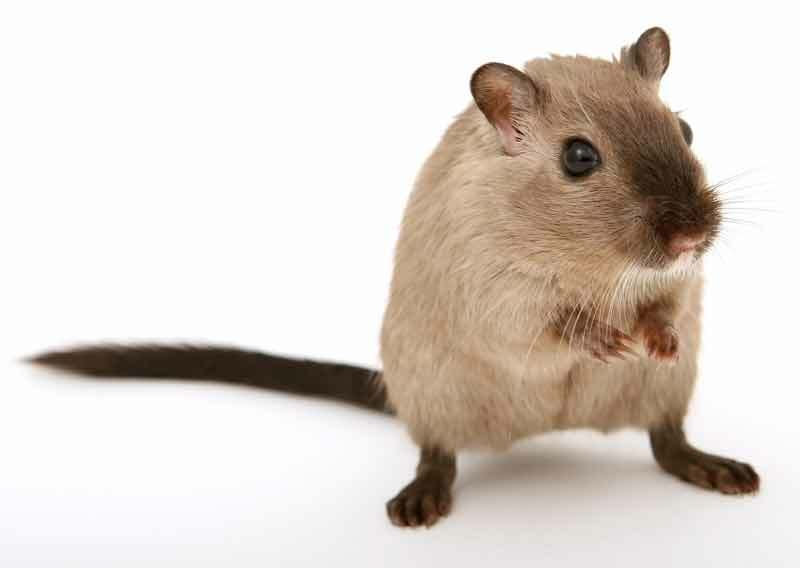 For these reasons, it is extremely important to call our Boca Raton rodent control service and get rid of rats in your house as soon as you realize you have a rat infestation. Identifying a rat infestation is actually pretty easy. 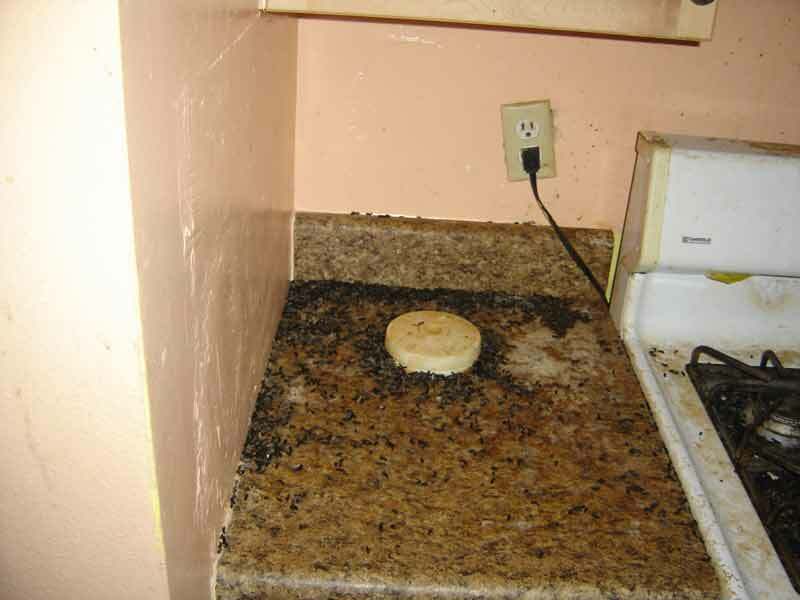 You can see rat droppings – black oblong bits about ½ inch long. 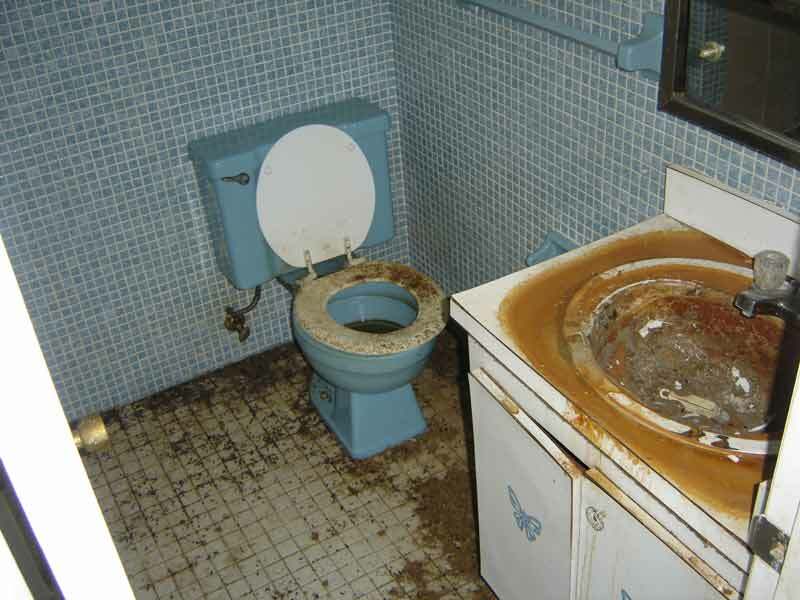 Rats also leave brown grease marks and streaks of urine along their trails. You might hear scurrying at night in your attic or walls. 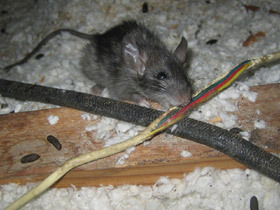 Look for electrical wires that have been chewed or tunnels in insulation. You might find holes in the wall, gnaw marks on your cabinets or chewed-up bags or boxes of food in the pantry. You might also notice an ammonia-like odor. Finding and sealing points of entry: The most important part of the rat elimination process is finding out how they got in and sealing up the holes. It does no good whatsoever to kill them if they can keep getting in. You MUST find and close off any and every opening a rat can get through. Since rats can squeeze through a hole as small as ½ inch, this can be a daunting task, and one best left to a rodent control professional in the Boca Raton area. At Wildlife Removal Services, we know how to get rids of rats in your Boca Raton area building for good. With our vast knowledge of rat behavior and building construction, we will inspect every inch of your house or building – from top to bottom – and find every possible entry point. Once we have permanently sealed up all the holes, typically with heavy steel mesh or metal plating that rats can’t chew through, then we can start the trapping process. Location, location, location: When using snap traps, the single most important consideration is PLACEMENT. If placed correctly, even a trap with no bait will snare rats. Rats do not have good vision, but they have a highly developed sense of smell, which is one reason why they tend to use the same trails all the time (and why it doesn’t matter what bait you use). The good news is, it’s pretty easy to figure out a rat’s route because they leave behind evidence such as feces, grease marks and urine stains. In the attic you might also find tunnels through insulation. While you might think setting out some rat traps sounds easy enough, snap trap placement can be tricky. That’s why it’s best to hire a Boca Raton rodent control professional like Wildlife Removal Services, serving all of southeastern Florida. We will ensure that every visible rat path is lined with multiple traps, and that the traps are set at a precise angle and level of sensitivity for maximum effectiveness. Rats leave behind a mess – and germs. Their biohazardous waste can grow mold and the pheromones they emit (chemical scents in urine) can attract other rats, rodents or pests. You don’t really want to be cleaning up after these nasty critters do you? For Wildlife Removal Services, it’s all part of our job. We will thoroughly clean all visible feces by hand and vacuum, then decontaminate your attic using an environmentally-friendly, biodegradable and non-toxic solution that destroys any last traces of the waste, germs, and odors left behind. As we’ve discussed, the best method for killing a rat is a snap trap. There are no chemicals involved, it is highly cost-effective, and it literally stops the rodents in their tracks with instant death. While snapping the spinal cord might sound cruel, it is actually much more humane than glue traps or poison. Glue traps: Not only do they NOT work very well, but on the small chance you actually catch a rat with one, the rat will suffer a slow death from starvation. Poison: This is the WORST possible way to kill a rat. Sure, it might sound easier and more convenient to sprinkle some poison across the attic floor, but it is completely ineffective in getting rid of rats. First of all, not all rats will eat it, and even those that do might not die. And if they do die, they could do so in some invisible crevice or the walls of your home, leaving their decomposing body to cause a hideous stench. Remove their food sources, both inside and out. In the kitchen, clean under and behind appliances where food might fall, such as refrigerators, stoves and ovens. Keep food stored in solid containers that rats can’t chew through – even bags of rice, grains or pasta in the pantry. Outside, keep all trash in a can with a lid and don’t leave pet food out at night. Ultrasonic repellants are devices that emit a high-pitched sound that only rats can hear. The sound is completely annoying to them and repels them away from your home. Peppermint oil, which has an odor that rats absolutely hate, is an all-natural option. If you don’t want to actually kill the rats, but drive them out of your home instead, you or a professional can place the oil along the base of the walls inside your home, along any identified rat routes or on a rag placed over entry points to drive them outside and into cages. 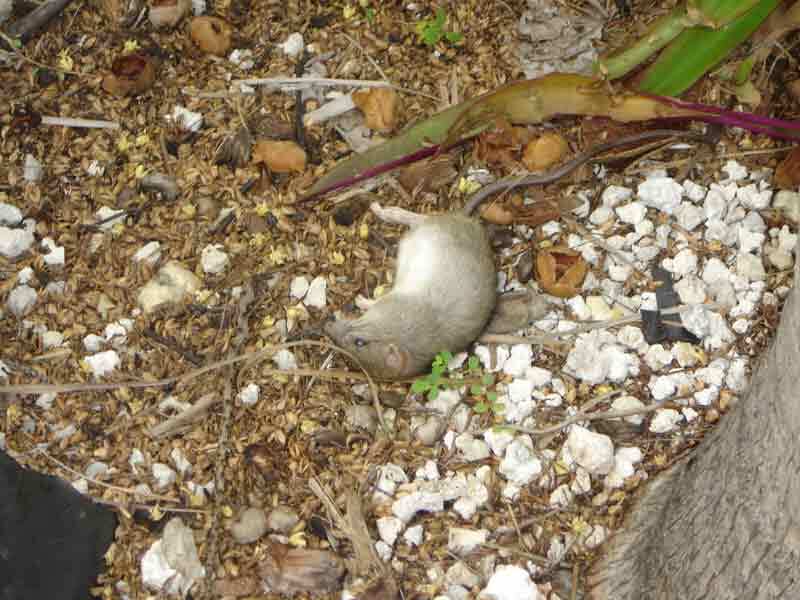 Why Hire Wildlife Removal Services for Rodent Control in Boca Raton and Palm Beach County? 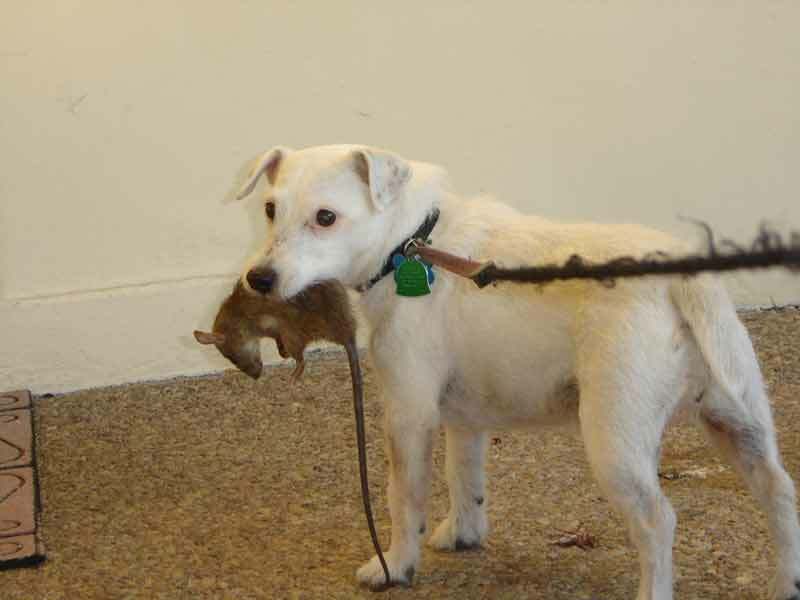 At Wildlife Removal Services, we specialize in rat control. Every day we trap and kill roof rats in the attics of homes and buildings throughout Palm Beach and Broward County in South Florida, including Jupiter, Palm Beach Gardens, Lake Park, North Palm Beach, Riviera Beach, West Palm Beach, Greenacres, Wellington, Royal Palm Beach, Palm Springs, Lake Worth, Boynton Beach, Delray Beach, Boca Raton, Deerfield Beach, and Ft. Lauderdale. Many South Florida pest control companies claim to be able to get rid of rats in the Boca Raton area, but they are not nearly as experienced as a wildlife removal expert like us. Besides that, their ultimate goal is to have you take out a monthly or quarterly contract and keep the money rolling in. Most of them will simply place a few rat traps or poison in the attic, which never solves the problem. If they do actually inspect your home for points of entry and seal them off, chances are they will miss one or more spots and your rat problem will not go away. If you want to get rid of rats permanently, call Wildlife Removal Services in Boca Raton at (561)212-9255. We will rat-proof your home or business the day of inspection. During our detailed inspection, we will find every last opening that rats can get into, seal them up with rat-proof steel mesh or metal flashing and remove all of the unlucky rats inside. After the rats have been completely eliminated, we will also clean up after them, decontaminating your attic with a non-toxic solution. Wildlife Removal Services is a fully licensed and insured rodent control company serving the areas of Boca Raton, Broward County, and Palm Beach County. We offer 24/7 service for residential and commercial customers. Call us today for a FREE no obligation estimate or submit the contact form. We’ll come to your home or office and create a plan to solve your rat problem. We always guarantee our work and have very fair pricing.